The Sukanya Samriddhi Yojana is a Government of India initiative initiated for the betterment of girls in India and to present them a bright future. This scheme is targeted at parents or legal guardians of girl child so that they can create a deposit for the expenses related to higher education and marriage of their daughter. Launched by India’s Prime Minister in January 2015, this scheme is gaining popularity among parents of girls in the country. The Sukanya Samriddhi Scheme allows parents of girls to open one account per girl child, which they can create just after the birth of the child. However, if not opened during infancy, they have time till the child turns 10 years of age to create the account. 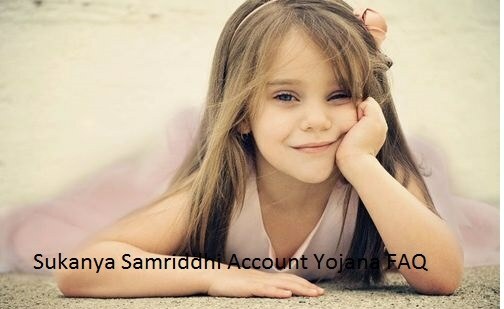 A maximum of two accounts are allowed to open under this scheme for two girl child. However, this number can exceed by a third account if there is a case of twin birth of girls in the second birth or triplet in the first birth. Talking about the features of the Sukanya Samridhi Yojana, the prominent one is definitely its rate of interest. The scheme allows an interest rate of 9.2%. To suit the affordability and pocket of an average family, the scheme allows minimum amount of Rs. 1000 that can be invested in a financial year and it can go to a maximum of 150000 per financial year. The tenure of the Sukanya Yojana is 21 years from its opening date and Parents or guardians need to pay deposit money in the account till it completes 14 years from the date of its opening. However, the account matures only when it completes 21 years from its opening date. The depositor can withdraw 50% of deposit once the girl child who holds the account turns 18. The operation of the account comes to a closure once the account holder gets married. In case of irregular payment in a year, a penalty of Rs.50/year is charged along with the minimum specified account. The payments can be easily made via cash, cheque or demand draft. The major benefit of this scheme is that it offers income tax rebate under section 80C. Another benefit is the withdrawal facility of partial amount for higher education and marriage after attaining 18 years of age. As far as premature closure of the account is concerned, it is allowed in the event of death of the depositor. Besides, it is also allowed in an extreme case of medical support in any life threatening disease. However, it requires authorization by an order by the Central Government. Guardian need to comply by the requirement of producing various documentations to open the Sukanya Yojana such as birth certificate of the girl child and proof of identity and residence. The Sukanya Samriddhi Yojana has already tasted huge success and response so far. In a country where girls are still treated as burdens, this scheme aims at promoting their financial security so that when they grow old, they are not looked down upon as burdens. This scheme will help the many needy girls who had to leave their education due to lack of finance. Moreover, this will also aid parents in the marriage expenses of their girls.